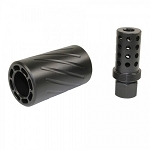 - These are for guns that are pre-threaded to accept muzzle brakes, flash hiders, and sound suppressors. 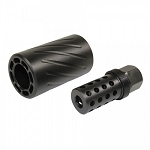 They come in .224 and .308 caliber sizes which are differentiated by the thread pitch. 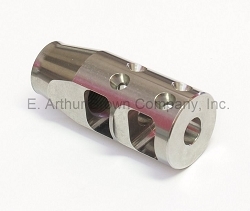 The .224 caliber brakes use 1/2 x28 threads. 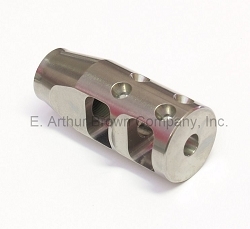 The .308 caliber brakes use 5/8x24 threads. 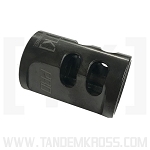 - There are some different systems for .22 rimfire... 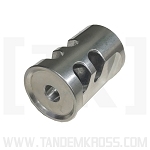 Some are threaded and some are clamp-on.